B-Town Is All Praise For Namaste England Trailer! 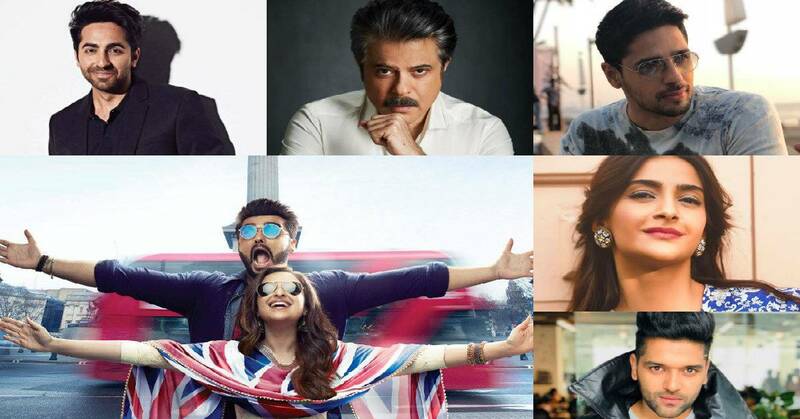 Bollywood has heaped praises on the recently released trailer of "Namaste England" starring Arjun Kapoor and Parineeti Chopra. The trailer has been receiving a lot of praise from all quarters owing to the duo's amazing chemistry. Fans are overwhelmed to see the Ishqzaade Jodi back on screen. Produced and directed by Vipul Amrutlal Shah, the film is presented by Pen Movies and Reliance Entertainment in association with Blockbuster Movie Entertainers. 'Namaste England' has gone on floors with this announcement and is scheduled to hit the theatres on the 19th of October, 2018.